Michael H Thaut received his masters and PhD in music from Michigan State University with a minor in movement science. He also has a degree in music from the Mozarteum Music University in Salzburg/Austria and holds a German Diplom in Psychology and Education. At Colorado State University he is a Professor of Music and a Professor of Neuroscience and served as Director of the School of the Arts from 2001 to 2010. He has been the Director of the Center for Biomedical Research in Music since 1994. He was a Visiting Professor of Music at the Mozarteum in 1985, and a Visiting Professor of Kinesiology at the University of Michigan/Ann Arbor in 1993. 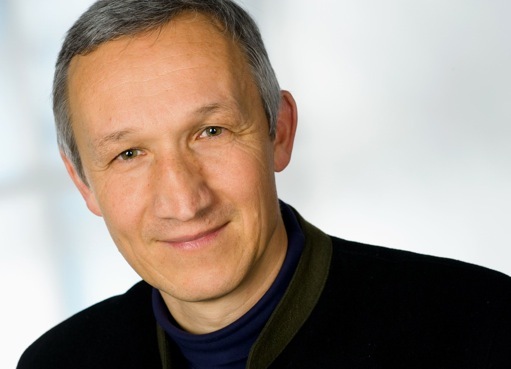 He has also been a Visiting Scientist in Neurology at Duesseldorf University Medical School 1995-2001, a Visiting Professor at Heidelberg University of Applied Sciences in 2002. He holds a Visiting Professorship of Music at Kurashiki Sakuyo University/Japan since 2005. From 2010 to 2012, he held the position of Chancelor of the SRH-University System Germany, an alliance of 6 private colleges, and also served as Interim President of the SRH University of Health Sciences in Gera. Dr. Thaut received the National Research Award in 1993 and the National Service Award in 2001 from the American Music Therapy Association. He has over 140 scientific publications and has authored and coauthored 4 books. His works have appeared in German, Japanese, Korean, Italian, and Spanish language. Popular TV media and numerous print media have featured his research nationally and internationally. He is an elected member and former treasurer of the World Academy of Multidisciplinary Neurotraumatology, a member of the management council of the World Federation of Neurologic Rehabilitation, and serves as Vice President of the International Society for Music and Medicine. He was elected in 2007 as President of the International Society for Clinical Neuromusicology. As a former professional violinist in the classic and folk genre he has recorded several LPs/CDs of chamber and folk music in the US and Germany and has toured in Europe extensively. He is also the author of a landmark anthology of European and North American folk fiddle music that has been in print since 1982. In 1995 his group ‘Folk Chamber Ensemble ‘ played 3 invited concerts at the Northwest German Summer Music Festival entitled ‘Folk Meets Classic’. He continues to perform in small chamber and folk ensembles as time permits. Dr. Gerhard Tucek has completed his studies in Applied Cultural Sciences, Action Research, and Social & Cultural Anthropology at the Universities of Klagenfurt and Vienna. At the University of Vienna he received his “Venia Docendi” for Social & Cultural Anthropology. As an Anthropologist, his focus is on medical anthropology. Since 1985 Dr. Tucek worked together with Oruç Güvenç (Turkey) as a pioneer in “Oriental Music Therapy.” Since 1989 he undertook numerous exploring expeditions to Kazakhstan, Kirghizia, Bashkiria, Tartar, Altai, Uigur, Usbekistan as well as Turkey, Argentina and Uruguay. Since 1999 he developed a culture-sensitive system of “Ethno-Music-Therapy“ which takes different cultural understandings of music in therapy into consideration. Today he serves at the academic board of the Chennai School of Music Therapy. From 2003-2006 Dr. Tucek coordinated the “music and medicine lectures” at the Herbert von Karajan Center in Vienna. Since 2005 he lectures at the University of Vienna, the Medical University of Vienna (muw), the University of Music and Performing Arts Vienna (mdw) and the SRH University of Applied Sciences Heidelberg. In 2007 Dr. Tucek was invited to develop the “Krems Model of Music Therapy“ at the IMC University of Krems, which started a Bachelor program in 2009 and a Master Program in 2012. This approach integrates anthropological, medical, psychological and music therapeutical perspectives. He was appointed as a member of the advisory board for the federal law of music therapy at the Austrian Federal Ministry of Health (2007 – 2008), which came into power in 2009. Since that time Dr. Tucek is registered as a “personal responsible music therapist” according to Austrian federal law. He is the founding and board member of MARAA (International Music and Art Research Association, Austria) and a founding member of the IAMM (International Association for Music and Medicine). Since 2009, he is the coordinator for the music therapy programs in Lower Austria Health and Social Fund (NÖGUS) and responsible for developing therapy and research programs in 27 clinics. His main clinical working fields in music therapy are intensive care unit, neurological and cardiological rehabilitation, pediatric oncology and hematology. Dr. Tucek published numerous articles on oriental music therapy, ethno music therapy, the “Krems Model of Music Therapy” and the cultural transfer of music therapeutical methods. In 2013 Dr. Tucek received the “Lebensweise” (Way of Living) Award in the category “Body and Mind” and in 2014 the “Health Media Award” for the communication concept of the 14th World Congress for Music Therapy in Krems, Austria. His present positions are: Program Director for music therapy at the IMC University of Applied Sciences Krems. Since 2013 he is head of the research unit and Vice Head of the Department of Health Sciences at the IMC University of Applied Sciences Krems. This presentation provides information pertinent addressing the question “What is the process of clinical decision making for music therapists working with parent-child dyads in individual music therapy sessions?”. This represents the literature review conducted as part of the presenter’s dissertation research, through an exploration of the literature on clinical decision making and creativity in diverse disciplines (including music therapy). Video examples of a music therapist working with a parent-child dyad contextualize the information shared in the presentation. Attendees will articulate an understanding creativity as a dynamic and systemic process that involves the domain, field, and individual (Csikszentmihalyi, 2009). Attendees will articulate an understanding of current research in clinical decision making. Attendees will articulate an understanding of principles of systems theory (Bateson, 1972; Bertalanffy, 1968) as they apply to individual parent-child music therapy sessions. Carol Ann Blank is a doctoral candidate at Drexel University completing her dissertation research in clinical decision making in music therapy with parent-child dyads. Carol Ann is also the Manager of Special Needs Services at Music Together LLC where she developed and manages the Music Together Within Therapy program. Music therapy has become an integral psychosocial intervention in pediatric hospitals worldwide, enabling patients and their families to build resilience via a range of creative activities and coping strategies. Case vignettes, with audio/video recordings, will demonstrate the integration of traditional music therapy techniques, digital technologies, and other creative interventions to achieve therapeutic goals and objectives. (a) utilising mass-produced electronic technologies as a creative form of self-expression, and (b) promoting a sense of connection and interconnectivity via technology, in pediatric music therapy practice. Participants will be able to identify at least three ways to combine multimodal therapeutic techniques and digital technology for treatment purposes in a pediatric setting (CBMT Scope of Practice: I. C. 10. 11. 12). Participants will be able to identify at least three specific methods of encouraging active engagement with longterm pediatric patients (CBMT Scope of Practice: II. A. c. i. n. o. s. w.). Verena Clemencic-Jones, Registered Music Therapist established the REDKITE Music Therapy Program at the Kids Cancer Centre, Sydney Children’s Hospital in 1999. She currently shares the position with Matt Ralph, Registered Music Therapist. In 2013, Verena conducted a 12-week pilot music therapy program on the burns and oncology wards of Kanti Children’s Hospital, Kathmandu, Nepal. Contemporary science offers new perspectives for using sound stimulation in working with persons diagnosed with Alzheimer’s (AD). High ultrasound frequencies have been a part of modern healthcare for many years but only recently are low sound frequencies being implemented in western medical science.. This presentation provides background information on the use of sound stimulation with AD alongside an outline of the concept of rhythmic sensory stimulation (RSS). An RSS pilot study which is looking at persons with AD at three stages will be presented with an overview of the methodology, data collection and analysis, preliminary results and case examples. To learn about Sound and Music as the User of Cognitive Processing Channels. To understand the importance of sound stimulation in working with persons diagnosed with AD. Amy Clements-Cortes, PhD, MT-BC, Music Therapist Accredited, Fellow of the Association for Music and Imagery, is Assistant Professor, Music and Health Research Collaboratory, University of Toronto; music therapy instructor and graduate supervisor at Wilfrid Laurier University; Senior Music Therapist/Practice Advisor, Baycrest, Toronto; President WFMT, Past-President CAMT; and Managing Editor, Music and Medicine Journal. Heidi Ahonen, PhD, Music Therapist Accredited, Fellow of the Association for Music and Imagery, Director of the Conrad Institute for Music Therapy Research; Professor, Wilfrid Laurier University. Morris Freedman, MD, Head, Division of Neurology, Executive Medical Director of the Centre for Memory and Neurotherapeutics, and Medical Director, Sam and Ida Ross Memory Clinic, Baycrest; Professor, Division of Neurology, Department of Medicine, University of Toronto. 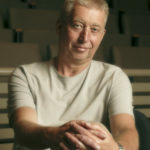 Lee Bartel, PhD, Professor of Music, Associate Dean-Research, Acting Director of Music and Health Research Collaboratory, University of Toronto. Anita L. Gadberry, PhD, MT-BC, David L. Gadberry, PhD: Need some novelty? Favorite instruments and props to spice up your sessions! Becoming bored with your current arsenal of materials? Are your sessions stagnant? Infuse energy into your sessions with novel instruments and objects. If you are having fun, your clients will as well! See and discover novel props, instruments, and resources to engage clients of all ages. Presenters will demonstrate their favorite additions to sessions and show how they use them to gain and maintain client’s attention while working on treatment goals. Be sure to have a paper bag and a set of medium sized spoons available so you can join in the fun! Create environment or space conducive to client engagement. Consider client’s age, culture, music background, and preferences when designing music therapy experiences. Create music therapy experiences that address client goals and objectives. Select and adapt musical instruments and equipment consistent with treatment needs. Select and prepare non-music materials consistent with music therapy goals and clients’ learning styles (e.g., adaptive devices, visual aids). David L. Gadberry holds a Ph.D. in Music Education from the University of Kansas, and he has earned certification in both Kodály and Orff-Schulwerk. He teaches at Marywood University and frequently presents workshops at music therapy, music education, and special education conferences at the regional and national levels. Anita L. Gadberry is the Director of Music Therapy at Marywood University in Scranton, PA. She also promotes global music therapy connections as the North American Regional Liaison for the World Federation of Music Therapy. Join experienced Registered Music Therapist and supervisor Natalie Jack on a journey through the ups and downs of life as a professional music therapist. Using an engaging clinical story, this presentation will help you learn about how clinical professional supervision can reduce stress, contribute to your longevity in the field and help make you the best practitioner you can be. This presentation will cover the basics of how to find, choose, pay for and utilise supervision to achieve your professional goals, through to advanced ideas on how the supervisory relationship can support you through times of professional crisis. Natalie is an Australian Registered Music Therapist working clinically in forensic mental health. She is passionate about ethics in practice, supervision and professional service. She is the owner of Music Therapy Bento, a small business providing clinical professional supervision services to music therapists and all health and helping professionals. Cognitive skills are often included in the treatment plan of children. We will look at the use of music therapy techniques for outcomes in attention control, executive function, and body control. This presentation will include current research and Neurologic Music Therapy techniques. Dr. Blythe LaGasse is Associate Professor and Coordinator of Music Therapy at Colorado State University. She is also owner of Summit Music Therapy Services and Music Therapy & Neuro Ed. Music therapy assisted childbirth is a rapidly developing and innovative specialty area. This positive growth stimulates a need for clinical competency examination, monitoring, and supervision. Two experienced perinatal music therapists will discuss how peer supervision has helped assess current clinical and ethical issues by identifying areas of personal and professional development. A foundation for best practices in perinatal music therapy was developed throughout this process. Music therapists of all experience levels will learn more about perinatal MT clinical practice through an examination of musical, artistic, written, and oral peer supervision results in this creative arts based presentation. Identify ways in which peer supervision can improve, develop, and sustain a specialized music therapy private practice. Discover how peer supervision enhances personal and professional growth. Understand the the role of music and music therapy in pre and perinatal preparation, birth and postpartum periods. Define and develop ethical and professional competency skills in current and future perinatal music therapy practice. Heidi Lengel, MMT, MT-BC, CD(SBD) is a professional birth support specialist who focuses in music therapy assisted childbirth as well as perinatal bereavement. She is a seasoned music therapist, certified birth & bereavement doula, passionate perinatal mental health advocate, and loves supporting families throughout seasons of life and loss. Kate Taylor, MAMT, MT-BC, Doula, specializes in music therapy assisted childbirth and creative arts for birth preparation. Kate attends home and hospital births where she provides a labor support model which integrates nearly fifteen years of clinical and educational experience in creative arts, guided imagery, hospice and neurologic music therapy. Relocating music therapy practice can be both exciting and nerve wrecking. Do you have what you need to successfully establish your practice? This presentation will help you identify the core elements of beginning your new music therapy journey in the new territory, including advocating the profession accurately and effectively, understanding the potential market and foreseeing possible challenges. Presenters will share personal experience on establishing their own practice throughout the relocating process. Participants are encouraged to share their own experience as well. Angel Leung is a board-certified music therapist (USA), an accredited music therapist (Canada) and a Neurologic Music Therapist (NMT). Angel is a frequent speaker in various conferences about her expertise in international music therapy issues. She was the clinical supervisor at Western Michigan University, and currently works with various populations and settings in Hong Kong. Pan Ho is a board-certified music therapist (U.S.) and an accredited music therapist (Canada). He currently practices music therapy in Hong Kong and was the Training Coordinator at the Institute for Therapy through the Arts, a not-for-profit organization that provides creative arts therapy, in Chicago, Illinois. He works with various populations and settings. The symptoms that come with Alzheimer’s Disease and related dementias put a considerable strain on relationships between people with dementia and their caregivers. This can cause complications for the person with dementia, as well as secondary health concerns for family caregivers and considerable burnout and turnover among hired caregivers. How can music therapists help? In this presentation, learn about about the challenges faced by caregivers of people with dementia and explore various models for serving these people through music. – Participants will identify three challenges encountered by family caregivers of people with Alzheimer’s Disease and related dementias. – Participants will describe challenges faced by professional caregivers for people with dementia. Rachelle Norman has been a board-certified music therapist, working with older adults and in end-of-life care since 2004. She is the founder of Soundscaping Source, which empowers music therapists and other eldercare professionals to use music to serve people with dementia and their caregivers. The debilitating effects of problematic moods on music therapy clients undermine a desire for positive life connections. Music 4 Life® Music Medicine Practitioners will share case studies to illuminate the effectiveness of Mood Sequence Formulas™ within music therapy sessions working with anger, anxiety, loss, and depression. Participants will be able to identify at least two of the basic tenants of a Mood Sequence Formula™. Participants will be able to identify at least three problematic moods where a Mood Sequence Formula™ would be effective. Judith Pinkerton, MT-BC/L developed Music 4 Life’s Music Medicine protocol and trains music therapists as Practitioners in the protocol, with past experience as clinic director, researcher, author, recording artist, and TEDx speaker. Barbara Reuer, PhD, MT-BC/L internationally known for her expertise in music-centered wellness and music therapy, is Founder/CEO of MusicWorx, Inc. and Resounding Joy, Inc. Dr. X has served as President of NAMT and is recipient of AMTA’s Lifetime Achievement Award. Rae Sirott, LCSW,MT-BC/L specializes in healthy aging, caregiver stress & Music Wellness. She studied Music Therapy at Texas Woman’s University, augmenting her BS with an MSW from Widener University. She is excited by her involvement with M4L and internet music wellness platforms. Becky Wellman, PhD, MT-BC/L, DT owns Wellman Therapy Services, is a Music 4 Life Music Medicine Practitioner, and is an adjunct professor of Human Services at Ivy Tech Community College of Indiana and Music Therapy at Indiana University Purdue University-Indianapolis. Phonic and aphonic “Voice” (Lemoine, 1977) begin with the primal cry as a call seeking response. The aphonic cry (of the autistic) stands for a cry with or without any sound, which is not addressed to anyone. In the music therapy lingual relationship the therapist listens and responds to the aphonic cry of the autistic discovering the person’s aphonic “Voice” (Voice with capital V stands for the inner healthy reality of the client) assisting the person to reach an asymptomatic-healthy state of being, called the “FA-fonie” (FA-voice). Exerpts from case studies illustrate the topic. Learn how to understand and respond to a phonic or aphonic cry. Learn how to understand the structure of the autistic’s inner self and the role that the music therapist can play to address the subject’s inner truth. Understand the different roles of music for the autistic person in three modalities: piano lessons, individual music therapy, community music therapy. Understand how to help the autistic person to enter the symbolic order through music. Dr. Dora Psaltopoulou-Kamini is lecturer at Aristotle University of Thessaloniki-Greece (A.U.Th-GR). She is certified music therapist CMT (AMTA), holds a Ph.D (A.U.Th-GR) and a MA (NYU, NY-USA). She has completed her psychoanalytic training in Freudian, Lacanian approach. Since 1992, she has pioneered Music Therapy in Greece, and founded the Music Therapy Center of Thessaloniki (http://unpan1.un.org/intradoc/groups/public/documents/un-dpadm/unpan048664.pdf ). Her clinical work includes neurosis, psychosis, and autism. Since 1996, she has been a primary trainer and administrator at her private master’s level Music Therapy training program. She is a research assistant at the Adolescent Unit of the 3rd Psychiatric Clinic (University Hospital AHEPA) and at the Institution of Chronic Diseases (Trikala). She organizes conferences and seminars, presents her work in national and international congresses. Her work is published at scientific reviews. People with disabilities and community music therapy are her main research interests. She is founding and professional member at relevant associations. The thesis “Music education and music therapy. Contact surfaces and boundaries.”, that was released at the MDW 2010, discusses the similarities and differences of music education and music therapy. For the first time the Austrian Music Therapy Act was used for scientific research and thereby clarity is given for all people employed in these two professional fields. Which common and different aspects can be seen in the legal foundations of music education and music therapy? Which role do the two fields music education and music therapy play in the Austrian educational and social system? What similarities and differences can be seen in music education and music therapy practice? MMag. Barbara Schnetzinger studied music therapy and instrumental education (flute) in Austria (University of Music and Performing Arts Vienna). In her thesis she worked on the topic “Music education and music therapy. Contact surfaces and boundaries.” She is currently studying human medicine at the Medical University of Vienna. Music therapy is becoming increasingly popular in Poland. In spite of over 40 years of music therapy development in Poland there is still much to do. We, as countries and regions where music therapy is not yet well established, are struggling with various questions and problems. This presentation will illustrate the brief history of music therapy development in Poland and also show the new perspectives that appeared in last years. It is connected to the system of professionalization that was developed a few years ago and now is implemented into music therapy structures in Poland. This could be an inspiration for other countries at an analogous stage of development. the system of balanced music therapy development that is implemented in Poland last years and the future perspectives as a result of this. Krzysztof Stachyra, PhD, MT-BC, a music therapist and a music teacher. Director of Postgraduate Music Therapy Study Program and assistant professor at The Department of Music Therapy and Music Education at Music Faculty of Maria Curie-Skłodowska University, Lublin, Poland. President of the Polish Music Therapists Association and also the Polish Association for Therapy Through Arts. Co-founder of Art Therapy Center, Lublin, Poland. A member of Commission on Education and Training World Federation of Music Therapy. Editor-in-Chief for “Therapy Through Arts” journal and Co-editor for Voices: A World Forum for Music Therapy and associate editor for Journal of Biomusical Engineering. He teaches music therapy at a few universities in Poland and University of Zagreb, Croatia. Dr. Krzysztof Stachyra has over 15 years of experience in working in music therapy with children, youth and adults with different disabilities – mentally handicapped, autism, psychiatric disorders, as well as preventive and developmental activities carried out with healthy people. The purpose of this presentation is to provide a theoretical basis for the use of music therapy to reduce anxiety and stress for individuals who have dementia. The first part includes descriptions of the mechanisms of stress, anxiety and agitation as they relate to dementia. Both neuroscience applications and person-centered perspectives are included to describe an overall treatment approach to helping adults with dementia reduce the symptoms associated with stress. Case study examples from the presenter’s experience will be included. Understand terminology commonly presented in the related literature, including dementia, stress, anxiety, and agitation. Review the present research on music therapy as a treatment modality for individuals with dementia. Develop an integrated understanding of the polyvagal theory and its application to music therapy practice within a person-centered approach. Michelle Westfall, MS, MT-BC has practiced music therapy for five years with children and adolescents with developmental, emotional, and behavioral disabilities. She completed her undergraduate degree at Berklee College of Music in 2007. While pursuing her master’s degree at Radford University, she volunteered for a community program for older adults with dementia, which is where she became inspired to complete a case study and theoretical paper for her graduate clinical project. The Online Conference for Music Therapy (OCMT) is a virtual meeting through which music therapists from around the world can learn and interact. This conference is presented in a 24 hour live format through an online platform. Each session will be recorded and will be made available to all participants following the live session for viewing at their convenience. The Online Conference for Music Therapy is currently using AnyMeeting as our online platform through which presenters can utilize lecture, media, and demonstrations. Participants only need a computer or tablet with internet access to participate in the Online Conference for Music Therapy. Alternately, participants can attend sessions live (though no access to recordings later) through a phone line connection as well. Session times are listed in Greenwich Meantime (London). To determine conference times in your own timezone, you can go to www.timeanddate.com.